Summer is meant for fun and time spent outside. With school right around the corner, what better way to celebrate summer than with a good, old fashioned cookout. However, there is nothing old-fashioned about these recipes. 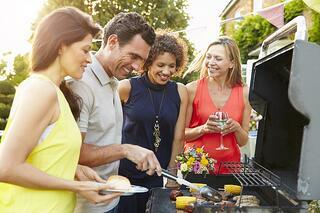 Fire up the grill and invite your family and friends, Weed Pro has you covered with the top cookout recipe ideas of this summer. Something for your sweet tooth- What is a meal without dessert? These strawberry shortcake kabobs only take 35 minutes to make and will be sure fix your sweet tooth. For full instructions, please click here. Not Your Average Corn- This next recipe takes the classic corn-on-the-cob to the next level. This olive oil parmesan grilled corn makes the perfect addition to your next cookout. Link to how to make this delicious side dish, here. Cheesy Fries.. On the Grill?- Make this favorite treat on the grill! It is quick to make and it gives you an excuse to cook outside. For the full recipe and preparation instructions, click here. Campfire Cones- With three simple steps, Stuff, Grill, and Eat, how can you resist? For more information and how to make these a staple at your next cookout, click here. Chicken Fajitas- These chicken fajitas are another excuse to use your grill. Enjoy the great outdoors and laughs with friends while enjoying this great (and simple) meal. Instructions can be found, here.